Endometriosis is a complex fertility issue believed to affect roughly 176 million women; that’s an estimated 10% of women worldwide. Natural pain management and natural therapies to support balanced hormones and rid the body of excess, abnormal tissue can make a huge difference for women with endometriosis. New research suggests that antioxidants may also be critical to help stop the inflammatory cascade that ignites endometriosis and to restore fertility health. In endometriosis, abnormal growth of endometrial tissue occurs outside of the uterine cavity, leading to reproductive blockages, fertility problems, pain or excess bleeding. In addition to having a hormonal component, endometriosis is related to excess inflammation and an immune system out of balance. The newest research shows endometriosis is characterized by free radical stress that ages the reproductive system and decreases fertility. Research from Fertility and Sterility reveals that there is an increase in reactive oxygen species (ROS) in the pelvic cavity in women with endometriosis. Scientists believe it results from numerous factors including increased red blood cells, cellular debris from retrograde (reverse) menstruation, degrading tissue, high macrophage activity (immune eater cells) or a combination of these factors. Additionally, the body’s natural ability to produce antioxidants and cleanse/detoxify itself may be compromised in some women with endometriosis, worsening the problem. 1. Eat 5-9 daily servings of colorful fresh fruits and vegetables. Fresh fruits and vegetables are loaded with antioxidants and enzymes, which help to quench free radicals and relieve inflammation. High antioxidant fruits and vegetables to include: berries (all kinds); citrus fruits; plums; green superfoods like spirulina, chlorella and wheatgrass; dark greens like spinach, kale, and bok choy; cruciferous vegetables; beets; asparagus; peppers, garlic, and onions. Choose organic when possible to avoid pesticide residues that can worsen inflammation and imbalance hormones. 2. Have a fresh green salad with a variety of vegetables every day to support your body’s natural detoxification systems. High fiber foods like carrots, pears or apples help the body process excess estrogen. Bitter vegetables like radishes, cabbage or arugula act as gentle liver cleansers. Tip: Avoid high calorie vegetable oil-based dressings that aggravate inflammation. Make your own healthy dressings with olive oil, herbal seasonings, lemon juice and ground pepper instead. Delicious! 3. Have a Fertility Smoothie daily. Fruit smoothies offer high nutrition and energizing antioxidants for women with endometriosis. Try Hethir’s Endometriosis Smoothie if you want a quick system flush with high vitamin C, beta carotene and protein-digesting enzymes from pineapple and papaya. Add bee propolis for extra fertility benefits. Research suggests bee propolis can increase your chances of getting pregnant with endometriosis. 4. Consider a high-quality Antioxidant Supplement. While diet is your first place to start increasing antioxidant intake, a specially developed supplement can help give you the boost you need to move forward in your Fertility Program. Fertilica Choice Antioxidants is designed to help to neutralize free radicals in the body, improving the overall health of the reproductive system. While endometriosis can be challenging to address, there are so many natural therapies that are used successfully today to reduce symptoms and enhance fertility. Start by making small changes in your diet and lifestyle, like having a daily smoothie and fresh green salad. Know these changes will make a difference as you apply them over time. Most women find their energy is enhanced and pain level decreased just by eating more fresh foods. An antioxidant supplement is another good choice, especially for endometriosis that has been long-standing or is advanced. Reach out to us if you have questions or want support in beginning your Natural Fertility Program for Endometriosis. We’re here for you every step of the way. please i need advice on how to resolve my issue relating to infertility. 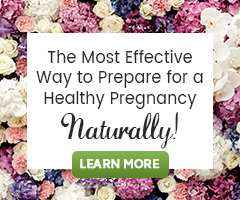 As you contemplate a Fertility Consultation, our guide How to Help Ovarian Cysts Naturally and Safely with Herbs and Supplements… will get you started learning why cysts form and ideas for how to consider supporting ovarian health naturally.